The global refining industry has faced constant change in recent years most significantly around the increased availability of opportunity crudes and stricter clean fuel regulations. These changes have made blending at both ends of the refinery more challenging and even more critical to profitability. Certain blending methods and technologies are now no longer optimal for blending these new opportunity crudes or meeting these tighter fuel product specifications. 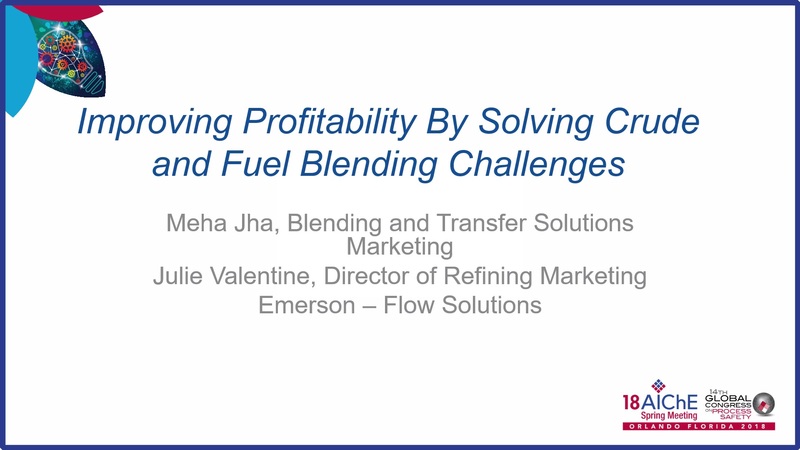 In this session, we will discuss the limitations of common methodologies and technologies utilized in blending operations in today's market and share the new best practices for minimizing these new blending challenges and optimizing your profitability at both ends of the refinery.